The season of love is upon us. Cupid holds his bow and arrow steady as he scours the land for couples waiting to fall head over heels for each other, leaving the air so thick with love, you could almost smell it! Whether you’re keen on dolling up for your partner, or in the mood to look good for yourself this Valentine's Day, an essential part of adding that bit of confidence and flair is a good lipstick. Bold, chic and irresistible, Bbia’s Last Lipsticks are on the top of our list to give our face a final touch before we head out the door. Here’s the beauty breakdown on these pretty tubes! Short for “Blooming Beauty in Online Ocean”, Bbia uses quality ingredients to create affordable yet chic cosmetics that are celebrated among makeup enthusiasts, professional face artists and celebrities alike. With a touch of fun and confidence, their products are perfect for the modern urban woman (and man!). The Last Lipsticks that have landed on Althea add a little romance to your look, giving you bold pigmentation that glide onto the lips effortlessly. These lippies give you the best of both worlds, dispensing rich shades that feel ultra-lightweight on the pout, making it comfortable even after long periods of time. Even though the Last Lipsticks have a velvet semi-matte finish, they are infused with a mix of plant oils including jojoba, sunflower seed and olive to keep your lips soft and kissable (no chapped lips here!). 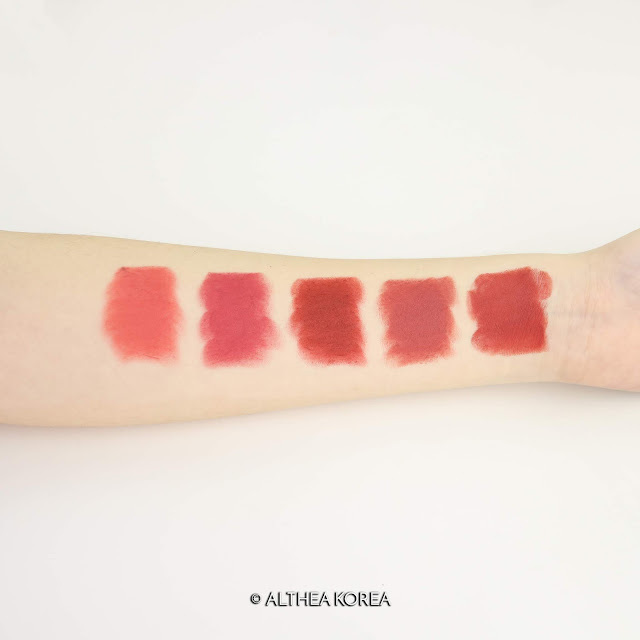 Check out some swatches and see them in action below! 07 - a plush soft pink, perfect for pairing with girly looks. 08 - a chic berry shade for a more sultry, feminine vibe. 09 - a warm red, bold, stunning and really knows how to make a statement. 12 - a MLBB color with dusty pink tones, suitable for pairing with most shades. 13 - a brick red shade to brighten and add a punch of color to your complexion. Whether you’re getting ready to smooch up or spend some alone time, Bbia’s Last Lipsticks are a must-have during Valentine’s Day. You can get these and other kissable products on Althea’s site, so be sure to check them out! What are your plans for Valentine’s Day this year? What are some of your must-have products to give your skin some extra love? Let us know down below!